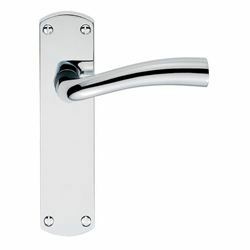 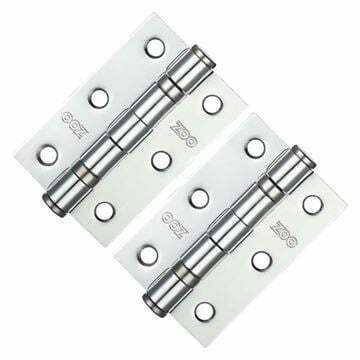 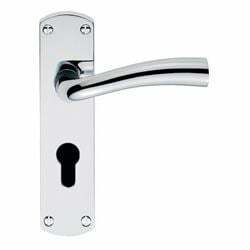 Serozzetta Cinco door handle on backplate in polished chrome supplied in all door handle variations. Back plate size 170mm high x 42mm wide. 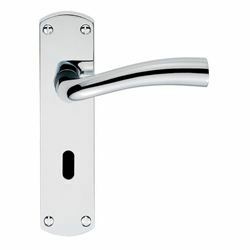 Projection from door face is 68mm. Full range of matching accessories available and lever on rose handles.